1) Blend all the ingredients until smooth. Post workout nutrition is important for muscle repair and recovery. This smoothie has everything you need protein, fats and carbs. I remember Lara telling me about the post workout smoothie she drinks. I tried it and let me tell you, it’s pretty damn delicious so I wanted to share it with you. 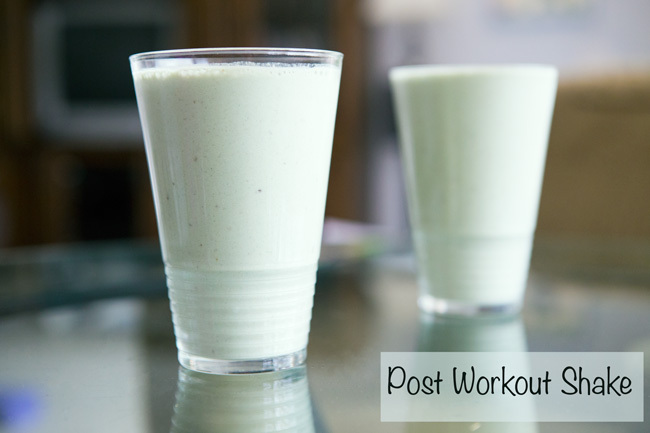 You can definitely make it the night before and then drink it within 30 minutes of finishing your workout. Enjoy.